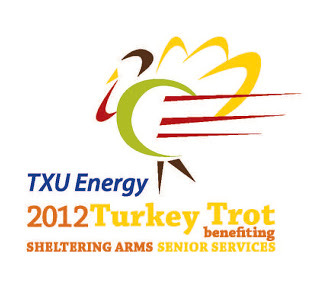 So there are 13 days and some hours left until Thanksgiving and until the TXU Energy Turkey Trot benefiting Sheltering Arms Senior Services. Christy from My Timeless Blessings and I have team up to train for this upcoming 10K. Our main goal is to beat our previous PRs. I have had a really hard time adjusting to the cold weather, well my lungs. My throat is very sore from my not breathing in my nose and out of my mouth. I am wearing a cold gear jacket. It is always good that you prepared yourself for the outdoor weather. You are no good if you are sick and unprepared. So do layer is you need to. 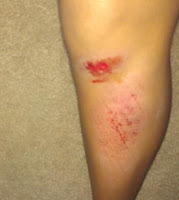 The cold weather makes your body work harder, so if you need to slow down like me, do. Make sure to follow Christy at My Timeless Blessings for next week's update. Also follow us on twitter @independentmami and @corellana86. ***Disclosure-TXU Energy is sponsoring our Turkey Trot entries. But all this hard work, training, sweat, cuts, and bruises are all our own HARD EARNED too! We are not being compensated for these conversations or posts. As always I try to provide you my readers with information to help myself and you along our journey. I am not a doctor, so please do check with your doctor before beginning any exercise program or for questions concerning your health. Good Luck!